We are asking for your support to help us produce Silent Lamp through the generosity of your donation. We are calling upon all of you who have been inspired to live a more fully human existence through Thomas Merton’s example to help us communicate to others the ever growing need to recognize and embody the mystery and spiritual values associated with contemplative life. The fruits of contemplation are not the sole privilege afforded to those living a monastic life. We can come to know the freedom and joy that accompanies contemplative life as our birthright as human beings. Although there is a difference in scale, the carnage and chaos of contemporary life are not vastly different than those Merton knew of when he was alive. There is an urgency to make known, through Thomas Merton, what we all experience in our hearts to be the preciousness of this human existence and what it means to be fully human. As you can well imagine, there is little receptivity in the media to communicate what ultimately heals the human heart and mind. There is no “commercial” value in the for-profit film industries to produce a documentary such as Silent Lamp. That is why we are asking for your support by being true to your spiritual values and help us produce Silent Lamp through the generosity of your donation. The Institute of Contemplative Studies (ICS) is a 501C3, non-profit organization, so your donation is tax deductible. You can make a donation of any amount through Acteva with a credit card or by check, made directly to ICS. Obviously, the more you can afford the better, but we will accept whatever your budget can bear. The kindness of your donation will help get production underway and to further our fundraising efforts. Periodic updates will appear on this same website to keep you informed about the progress being made in production. Individual donors who contribute at this level can elect to appear in Silent Lamp’s credits as executive producers. Executive producers will be invited to the premier of Silent Lamp and will be acknowledged for their generous contribution and role in the making of the documentary. Stock transfers are welcome. Corporate and institutional donors can elect to appear in Silent Lamp’s credits by contributing a minimum of $10,000 or become fiscal sponsors through contributions of $20,000 or more. Sponsorship would entitle a corporation or institution’s name to be visible on Silent Lamp’s select marketing venues. Individual/group donors who wish to honor the great lineage of contemplatives and their teachings throughout the millennia. Donors can elect to appear in the final credits. Individual donations honoring Merton’s contributions to world peace. 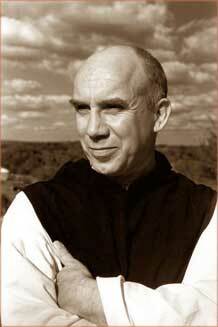 Donors whose lives have touched by Merton’s words and living example as a mystic and spiritual master. Individual donations to suite your budget. Any amount is welcome. We are accepting any of the following: videotape (Betacam package), audio packages, master tape stock, grant research and writing, catering, large capacity portable hard drives, insurance coverage, makeup, editing suite time.